'Unseen: The Lives of Looking' Stills from Dryden Goodwin’s first feature-length essay film, focuses on four individuals, each with extraordinary relationships to looking: an international eye surgeon, a NASA planetary explorer, a leading human rights lawyer and the artist/filmmaker himself. Mixing Goodwin’s closely observed drawings, live action and intricately woven soundtrack, the film explores different scales, forms and reasons for looking, in a poetic and metaphysically charged journey. 2015, © the artist. 'Unseen: The Lives of Looking' Still from Dryden Goodwin’s first feature-length essay film, focuses on four individuals, each with extraordinary relationships to looking: an international eye surgeon, a NASA planetary explorer, a leading human rights lawyer and the artist/filmmaker himself. Mixing Goodwin’s closely observed drawings, live action and intricately woven soundtrack, the film explores different scales, forms and reasons for looking, in a poetic and metaphysically charged journey. 2015, © the artist. 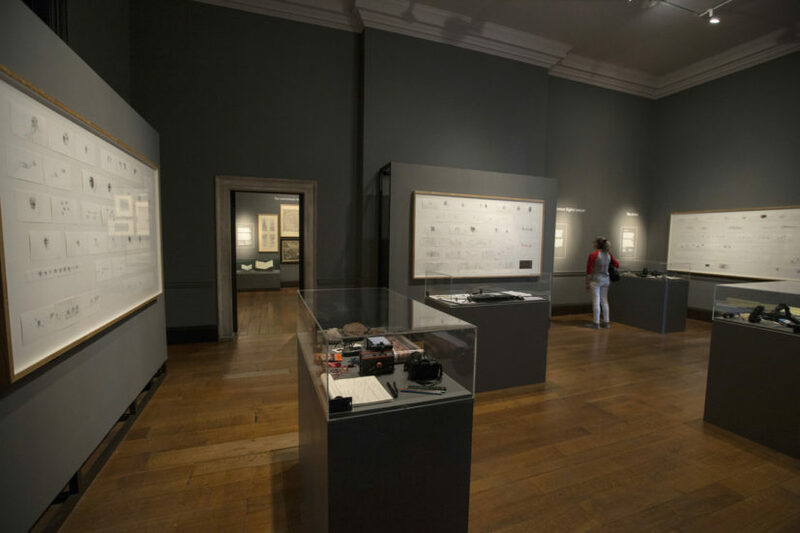 'Unseen: The Lives of Looking' Installation shot from the exhibition that accompanied Goodwin’s first feature-length essay film when it was first shown, at the Queen’s House, Greenwich in London. The film, focuses on four individuals, each with extraordinary relationships to looking: an international eye surgeon, a NASA planetary explorer, a leading human rights lawyer and the artist/ filmmaker himself. Mixing Goodwin’s closely observed drawings, live action and intricately woven soundtrack, the film explores different scales, forms and reasons for looking, in a poetic and metaphysically charged journey. 2015, © the artist. 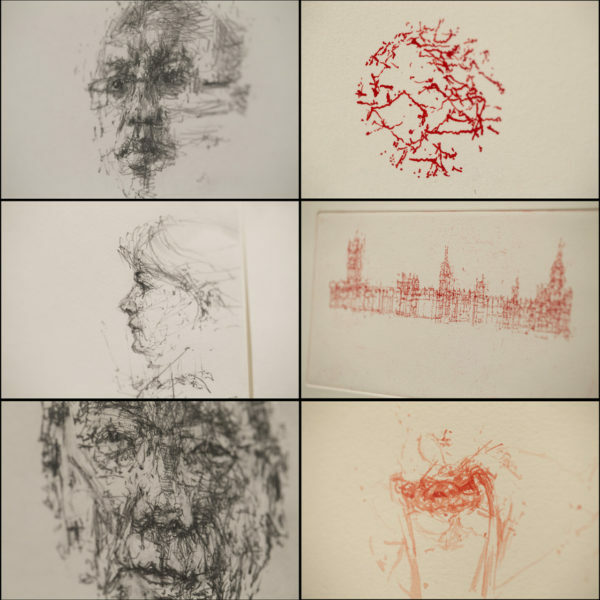 'Unseen: The Lives of Looking' Details of drawings and from the exhibition that accompanied Goodwin’s first feature-length essay film when it was first shown, at the Queen’s House, Greenwich in London. The film focuses on four individuals, each with extraordinary relationships to looking: an international eye surgeon, a NASA planetary explorer, a leading human rights lawyer and the artist/ filmmaker himself. Mixing Goodwin’s closely observed drawings, live action and intricately woven soundtrack, the film explores different scales, forms and reasons for looking, in a poetic and metaphysically charged journey. 2015, © the artist. 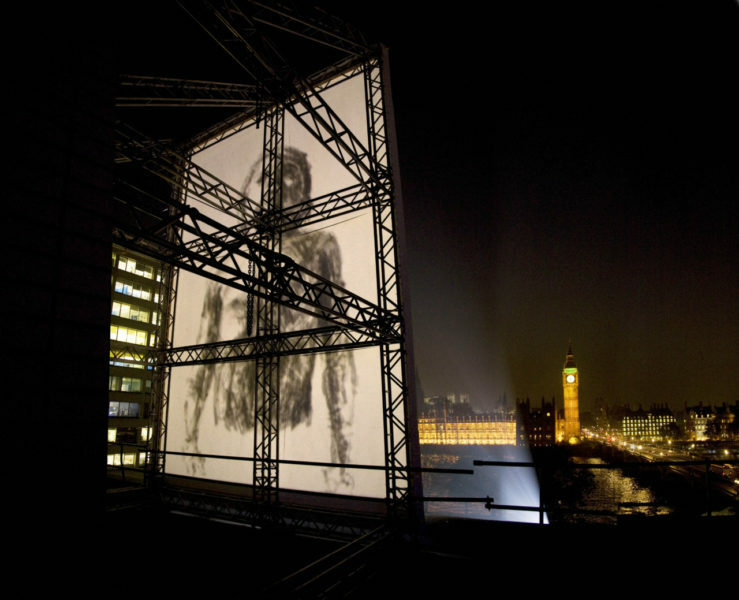 'Breathe', a large-scale projection, animating over 1,300 pencil drawings of Goodwin’s 5-year-old son, projected next to Westminster bridge, opposite the Houses of Parliament, commissioned by Invisible Dust, 2012, © the artist. 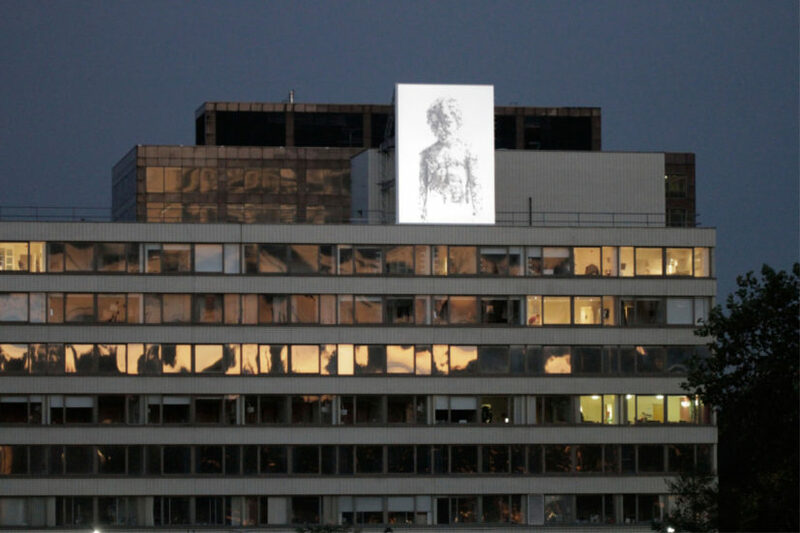 'Breathe' Details of some of the drawings from ’Breathe', a large-scale projection, animating over 1,300 pencil drawings of Goodwin’s 5-year-old son, projected next to Westminster bridge, opposite the Houses of Parliament, commissioned by Invisible Dust, 2012, © the artist. 'Skill' is a film in 12 parts, focusing on Goodwin's encounters with 12 people. Each person has a hands-on, specialist skill, ranging from tattooing, to woodturning, to pigeon fancying. Skill encapsulates the drawings Goodwin made observing each person at their endeavours with the conversations that took place. 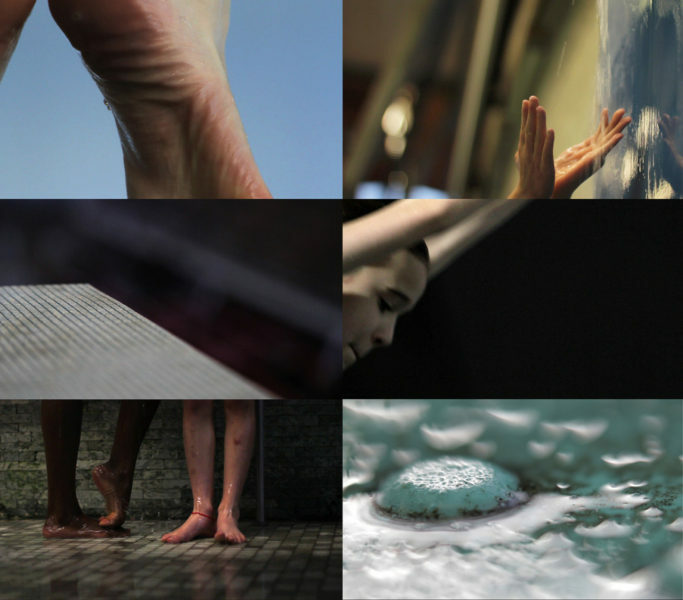 The film and the drawings are a celebration of dexterity and commitment, capturing a shared deftness of hand and mind as each person transforms the materials they work with. For its exhibition at MIMA the original drawings were shown alongside the film. 2014, © the artist. 'Mould'. Folded, scored and punctured, photographs. Presented separately and in clusters. 2011, © the artist. 'Mould' Folded, scored and punctured, photographs. Presented separately and in clusters. 2011, © the artist. 'Poised', 2012, © the artist. 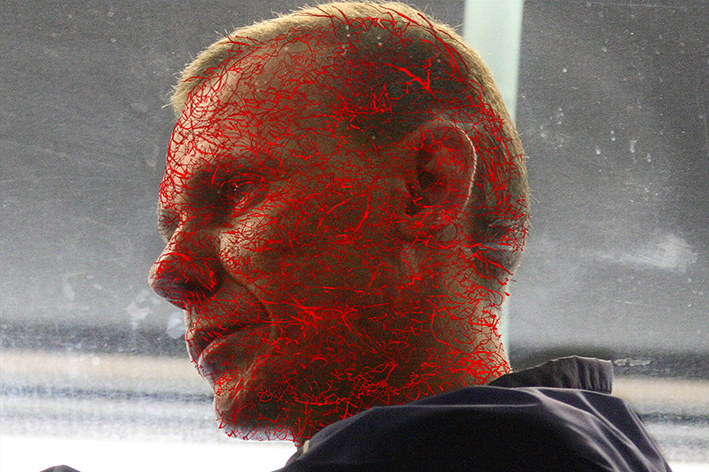 'Caul 6 (detail)', 2008, © the artist. 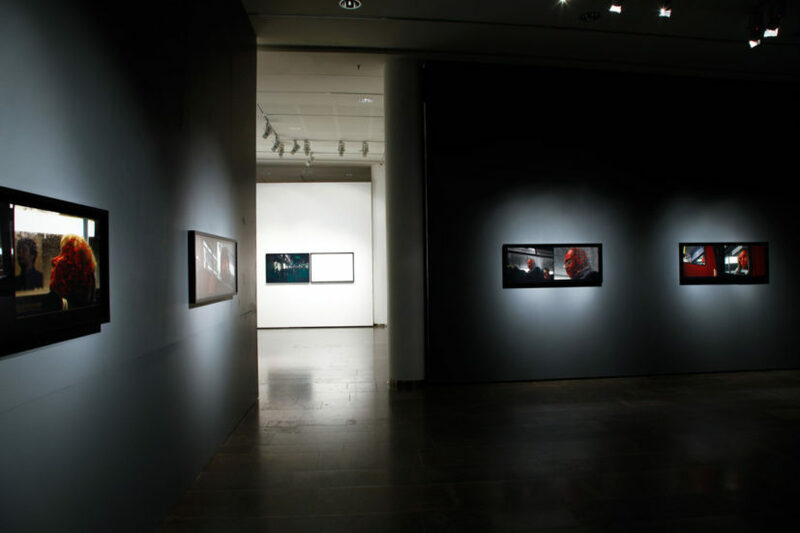 'Caul series (installation shot)' exhibited as part of ‘Cast’ a solo exhibition when at the Hasselblad Foundation, Gothenburg, Sweden 2009, © the artist. 'Cradle 15', 2008, © the artist. 'Cradle 11 (detail)', 2008, © the artist. 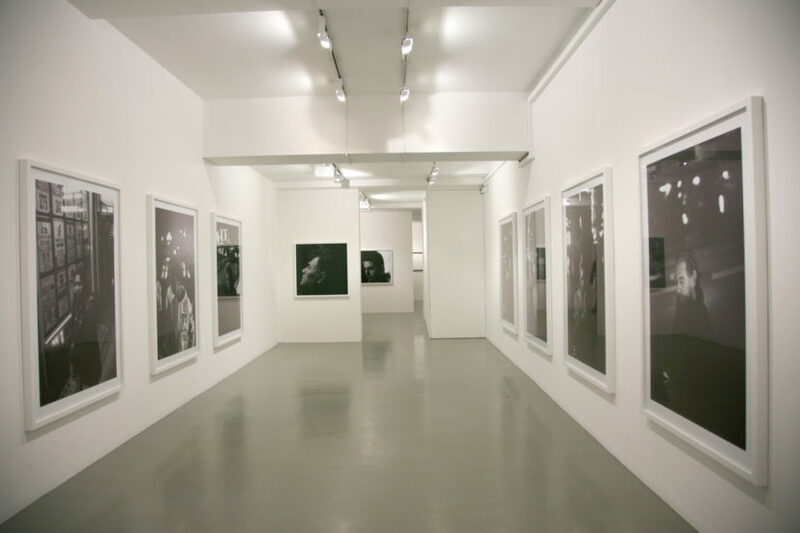 'Cradle series (installation shot)' exhibited as part of ‘Cast’ a solo exhibition when at the Photographer’s Gallery, London 2008, © the artist. 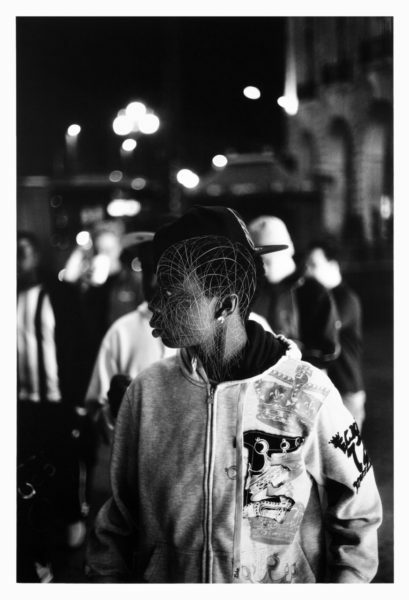 Through drawing, film, installation, photography, etchings, soundtracks, work in public space and on-line, Goodwin’s practice involves close observation of individuals and groups. At times anonymous and distant, at others personal and intimate. 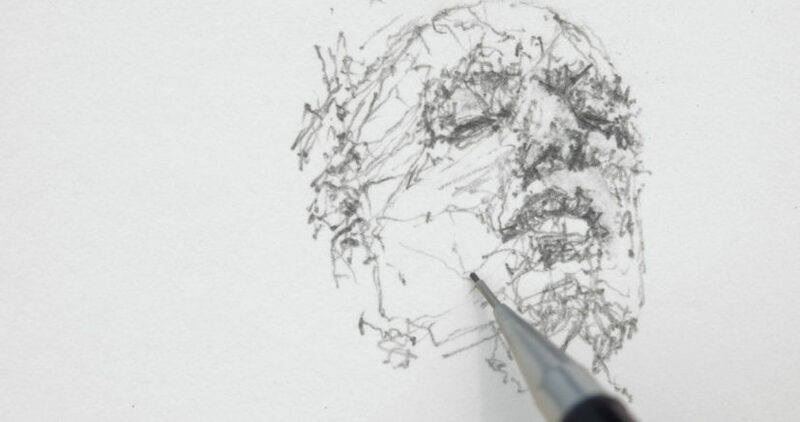 In recent projects Goodwin has been driven by the inability of any ‘portrait’ to fully describe a subject. He has explored expanded notions of ‘portraiture’, both in form and approach to a subject. Distilled through intense pockets of time and experience, he endeavours to evoke a heightened sense of each person and the environments they’re encountered in. 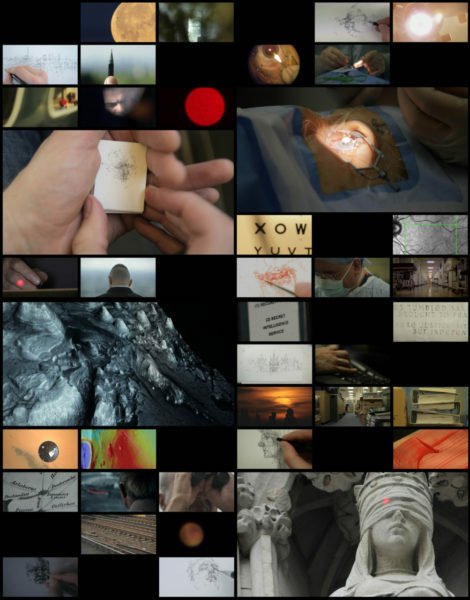 In some of his most recent works, Goodwin reflects upon the complexities of human endeavour on different scales, found in specialist, focused activities by pioneers in disciplines such as an eye surgeon, a NASA planetary explorer and a human rights lawyer in his first feature length essay film, ‘Unseen: The Lives of Looking’ (2015). In ’Skill’ (2014) he focuses on finely honed hand skills and crafts and with ‘Poised’ (2012) on training for elite sport. 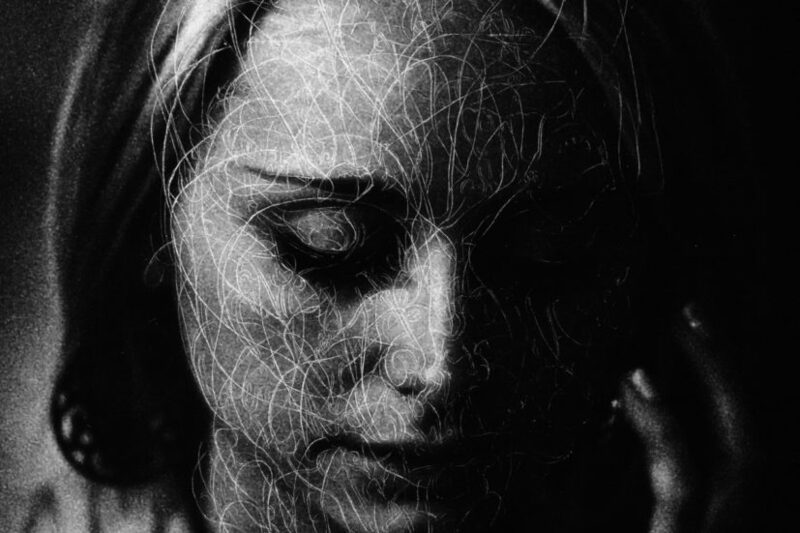 More than ‘bearing witness’ to someone’s likeness, through the editing and scoring, Goodwin is interested in delving beyond the physical surface, exploring underlying emotional and psychological structures and opening up metaphysical dimensions and how these may implicate himself and the viewer. His practice reflects on the ethical dimensions of looking both at the world and beyond, fascinated by the boundaries between anonymity and intimacy, public and private, singular worlds and group dynamics. Goodwin’s work has been shown nationally and internationally, including exhibitions at Tate Modern, Tate Britain, Tate Liverpool, The Photographers’ Gallery, London, The National Portrait Gallery, London, the Venice Biennale and the Hasselblad Foundation in Gothenberg, Sweden. His work in collections includes, The Museum of Modern Art in New York, The Tate Collection, The National Portrait Gallery, London and The Science Museum, London. Festival screenings of his first feature length film ‘Unseen: The Lives of Looking’, have included, a nomination in the international competition of the DOX:AWARD at CPH:DOX 2015, Copenhagen, 2015 and at The International Film Festival Rotterdam, 2016. 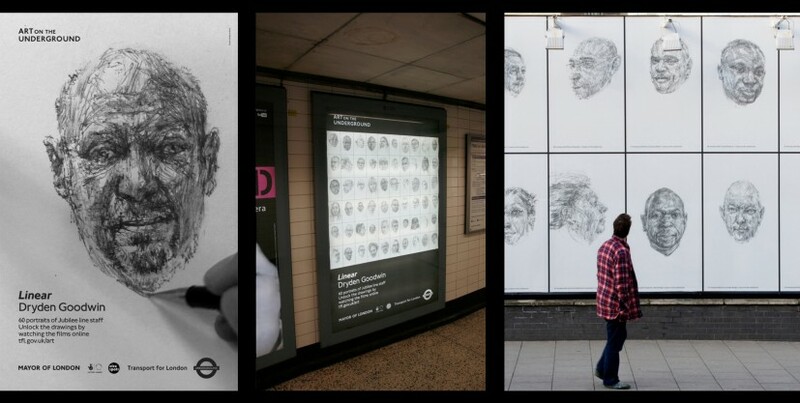 Recent solo exhibitions and projects include ‘Unseen: The Lives of Looking’, Queen’s House, Royal Museum’s Greenwich, London, accompanied by an exhibition of drawings and artefacts featured in the film, 2015; ‘Skill’, MIMA, Middlesbrough, an exhibition of a 12 part film and related drawings, 2015; ‘Poised’, Ferens Art Gallery, Hull, a film installation, 2014; ‘Wander’ a permanent installation of 100 steel etching plates, Cambridge, 2014; ‘Breathe’, commissioned by Invisible Dust, a large scale projection, animating over 1,300 pencil drawings, projected at night, next to Westminster Bridge, opposite the Houses of Parliament, 2012; ‘Linear’ commissioned by Art on the Underground, 60 pencil portraits and 60 short films, displayed as posters, on digital screens and at exhibition sites, across the London Underground network and online 2010-2012. ‘Coax’, Raum mit Licht, Vienna and Fotoforum West, Innsbruck, Austria, 2011; ‘Cast’, at the Hasselblad Foundation, Gothenburg, Sweden, 2009 and the Photographers’ Gallery, London, 2008. 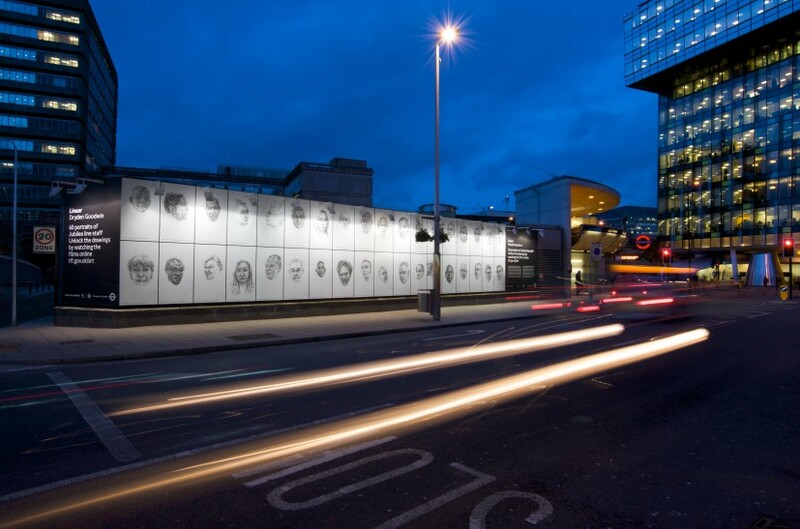 Recent group exhibitions include, ‘Stories in the Dark’, part of The Whitstable Biennale 2016; ’Work, Rest and Play: British Photography from the 1960s until Today’ curated by The Photographers’ Gallery, London, touring China, 2015-2016; ‘Poster Art 150: London Underground’s Greatest Designs’, London Transport Museum, 2013; ‘Everything Flows’ commissioned by Film and Video Umbrella exhibited at the De La Warr Pavilion, 2012; ‘The World in London’, curated by the Photographers’ Gallery, shown in Victoria Park, 2012; ‘Exquisite Forest’, Tate Modern and Google, 2012; ‘Poetry of Motion’, National Portrait Gallery, London, 2012; ‘Images of the Mind’, Moravian Gallery in Brno, Czech Republic, 2011; ‘Grand National’, Vestfossen Kunstlaboratorium, Norway, 2010; ‘London Calling: Who Gets to Run the World’, Total Museum, Seoul 2009 also Hanjiyun Contemporary Space, Beijing, 2009. He is a Reader at the Slade of Fine Art, UCL, London.